Description: Somewhat broad oval leaves with distinctly parallell veins arranged in a basal rosette. Flower are small and are arranged along an erect stalk typically 2 to 8 inches tall. Later in the year, tiny green seeds replace the flowers. 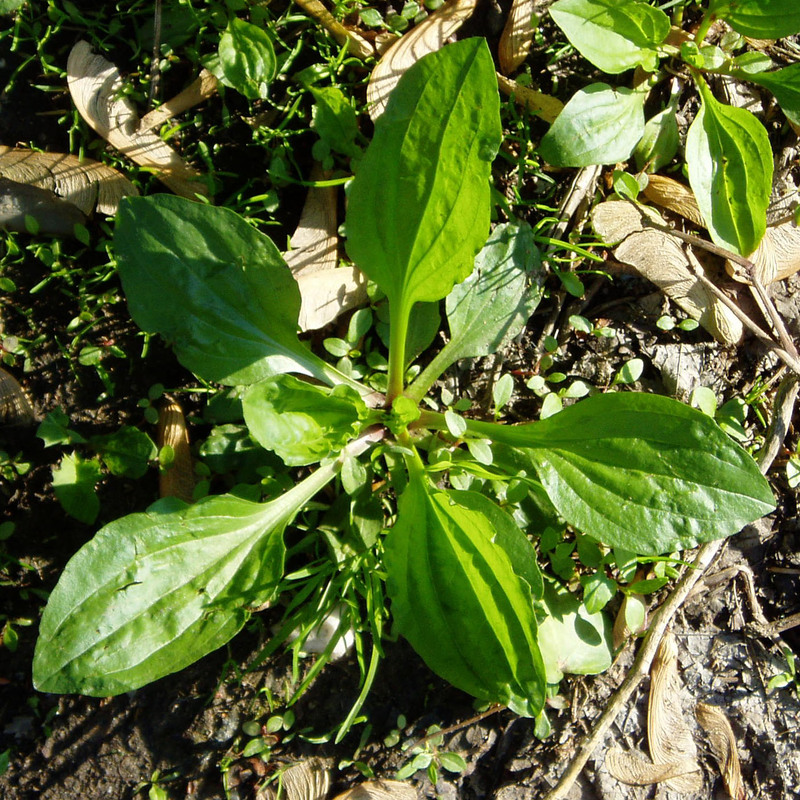 Other Notes: This plant, and its close relative, the Seaside Plantain were know to some native americans as 'White Man's Footprint' because it would appear near european settlements.